The earth is vast and its surface seems huge. However, the earth’s crust only makes up 1% of the earth’s mass — subsequent layers (the mantle and the core) make up the other 99%. So, why do we care about the earth’s crust (besides the fact that we live there)? It consists of tectonic plates that move around, and where they hit, we get nature’s most impressive formations — Earthquakes and Volcanoes. Because the crust is so vast, it is hard to see the minor changes that occur daily. We tend to notice the big changes like mountains and effects from earthquakes. In Houston, we don’t get to see either of those things! Luckily, the Houston Museum of Natural Science has Nature Unleashed: Inside Natural Disasters on exhibit right now. In Nature Unleashed you can see how the earth’s tectonic plates shift and learn about the earthquakes that can result, build your own volcano and watch as it explodes molten rock along the mountain side. You can even experience the inside of a tornado, and see some of the aftermath found in several cities. If you can’t make it to the museum, you can always show the effects of tension, compression and shifting on the earth’s crust using a simple chocolate bar! Tell the students that the earth’s surface is constantly changing. The crust is formed by tectonic plates which float on the plastic layer of the mantle called the asthenosphere. Where these plates interact, we notice changes on the earth’s crust. The chocolate on this candy bar is going to mimic some of those changes. This time I used Milky Way. 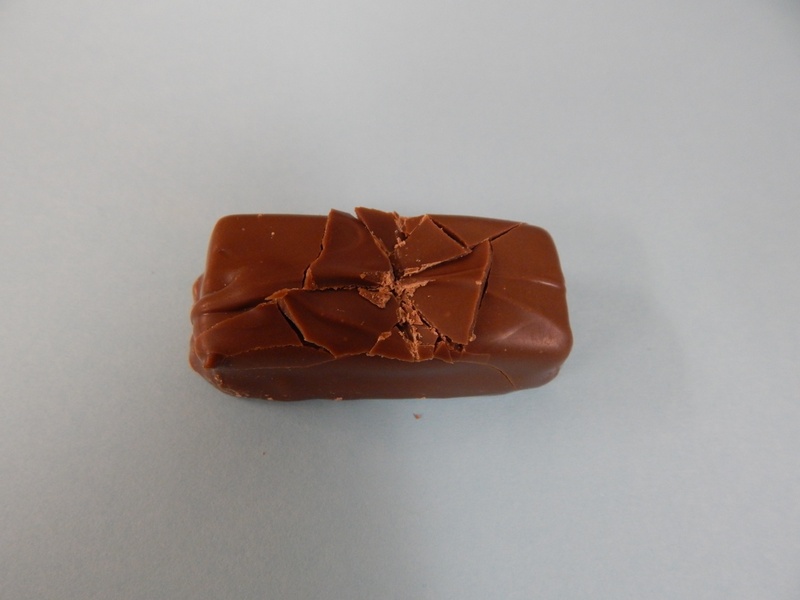 Have the students use their fingernail to make some cracks in the “crust” near the center of the candy bar. Ask them what they notice about the cracks in the crust? Next, demonstrate tension by pulling the candy bar apart slowly. Notice how the crust shifts on top of the caramel layer. 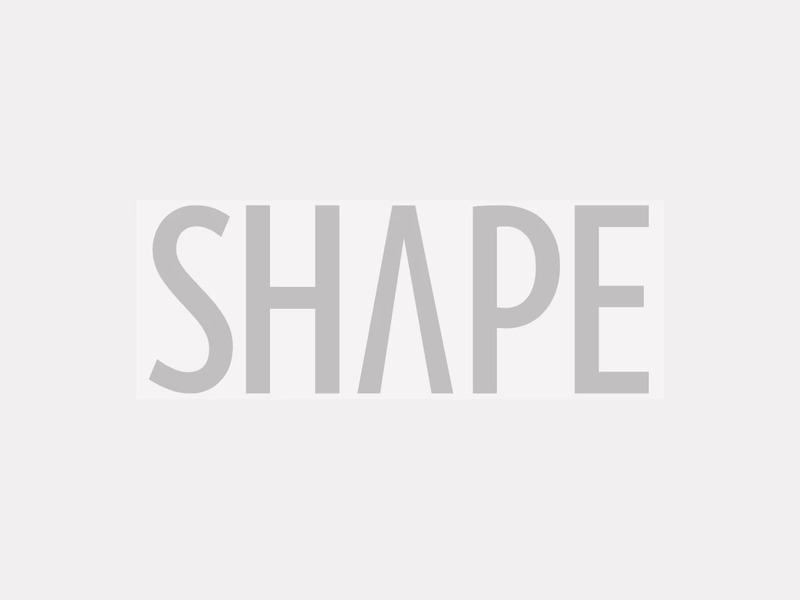 The caramel is the exposed upper mantle also known as the asthenosphere. It is this layer that allows the tectonic plates to move around. Sometimes this tension between plates can form basins or underwater ocean trenches. The students should then place their chocolate bar back together gently. 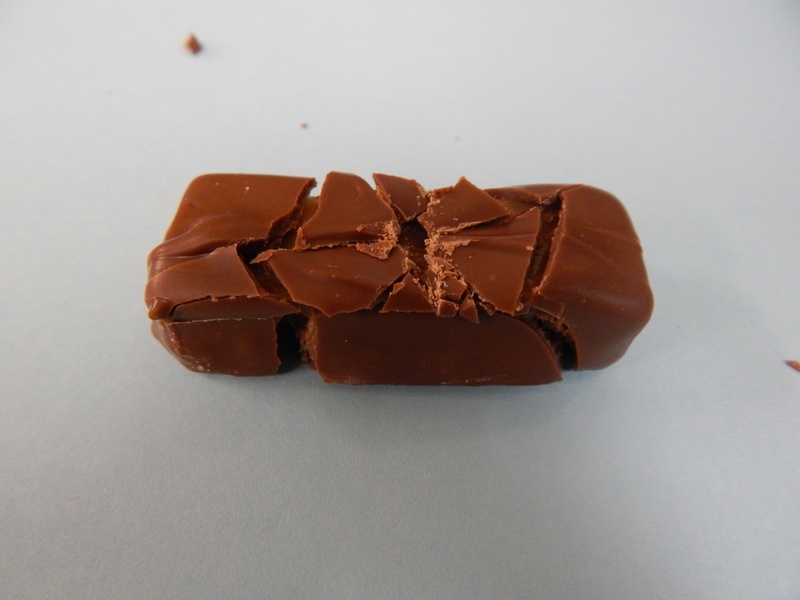 To demonstrate another way the earth’s crust moves, ask the students to move one half of the candy bar forward and pull the other half backwards. This is an example of a strike-slip fault. 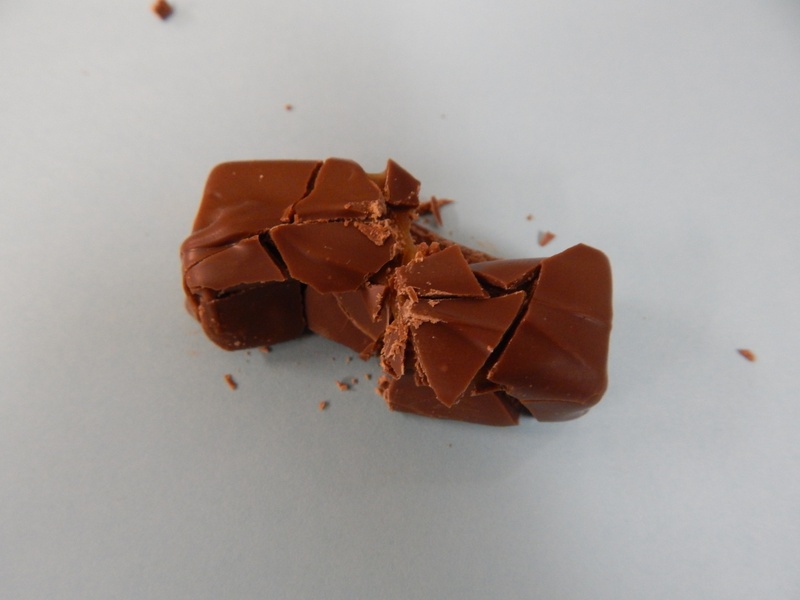 Notice how the chocolate changes at the fault line. This mimics the bending, twisting and pulling of the rocks that can occur at a fault. Lastly, ask the students to push the two ends of the candy bar together. 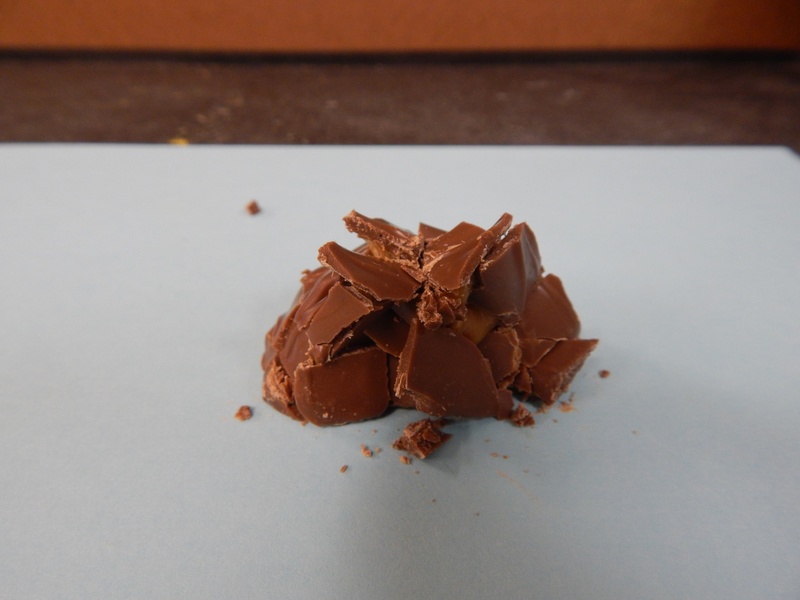 Notice how some of the chocolate pushes up and some even slides on top of another piece, showing how mountains can be created on the earth’s crust. Now that you’ve seen what the earth’s crust can do, feel free to allow your students to eat their new landform creations! And don’t forget to come check out Nature Unleashed: Inside Natural Disasters showing now through September 14! Kelsey started working at the Museum through Xplorations summer camp, and this fall she started working as a programs facilitator. She is a presenter for several outreach programs, assists with overnight programs, and assists with education collections during summer camp. Her favorite dinosaur is a Triceratops found at HMNS Sugar Land. The Triceratops is also named "Kelsey." How long could YOU Survive in the CBC?? Make the Holidays Merry and Bright With Your Very Own Jingle Tree!